There are but two goals for the Indians--civilization or annihilation...I feel for the Indians, not only friendly feeling but admiration for many of their qualities...The American people, those who really wish and hope to save the Indians from extinction and degradation, must be prepared to use great patience and summon all their wisdom. The signal that a new day had come in the history of the West elicited two public responses. 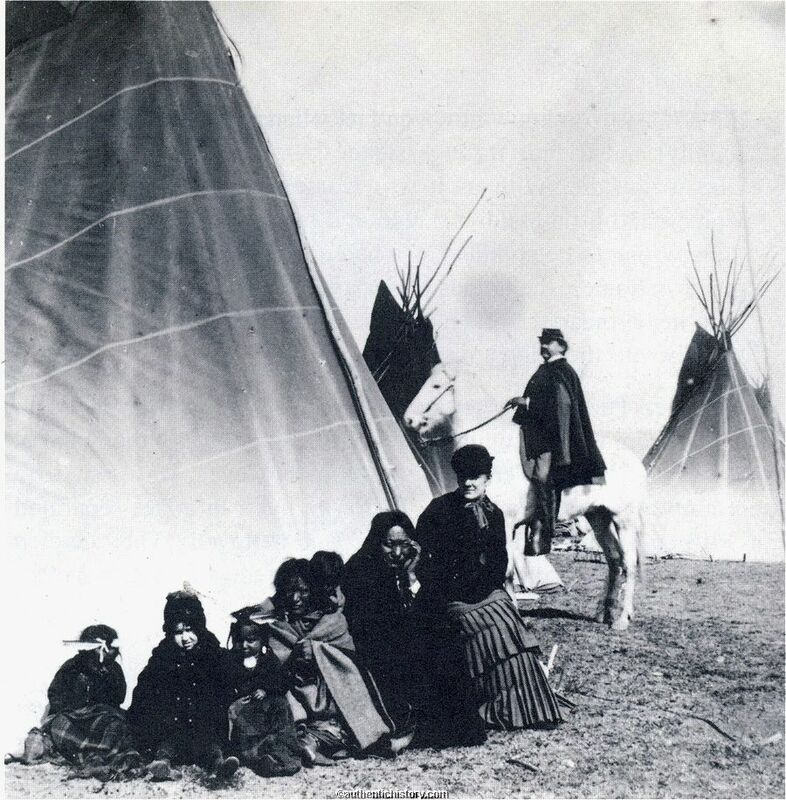 There was a new wave of reform, most evident in the creation of Indian boarding schools designed to civilize the Native through forced assimilation. And there was an acceleration of efforts to re-characterize this "battle of civilization" in the public imagination; to cast the Indian as an "other", distinct from Euro-American civilization and deserving of displacement to make the wilderness safe for the civilized farmer. 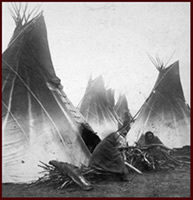 Ever since 1881, when Sitting Bull surrendered at Fort Buford, every generation has recreated this historic conflict with the Plains Indians dramatically; in photographs, Wild West Shows, Victorian Adversing, dime novels, paintings, early cinema, pulps, literature, comic books, movies, radio, and on television. That the Western genre of entertainment still thrives reflects the dominant culture's need to dramatize its history and to believe in the righteousness of that history's outcome. aboard the boat to be brought as a prisoner to the fort." 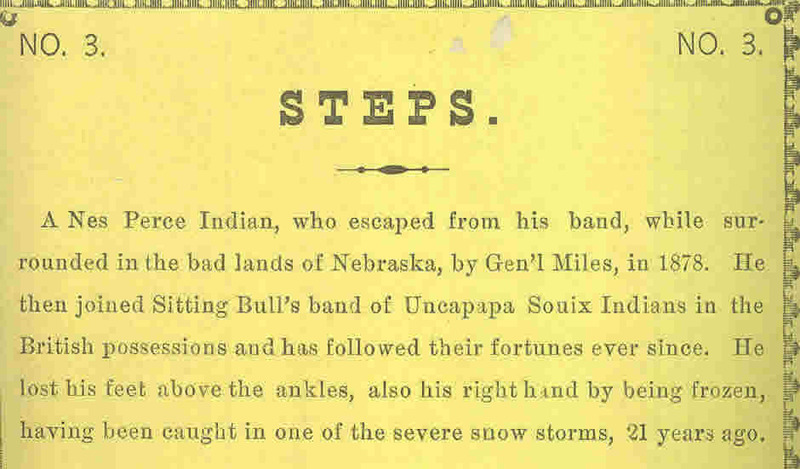 Image number 4 begins the stereoviews, and the depiction of Sitting Bull's captivity. 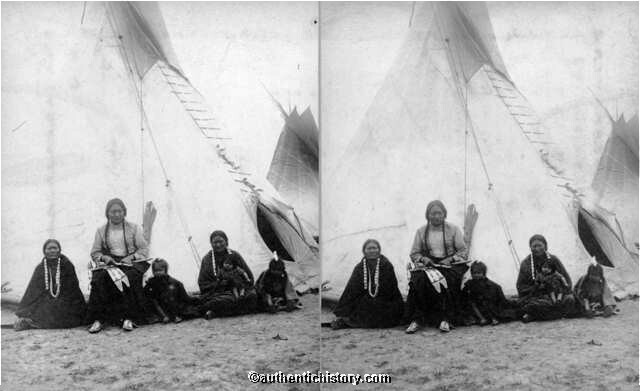 Four views of the iconic Indian tepee are shown, with the explanation on the reverse that an effort was made to show the scene in a manner more attractive than is actually found in reality. Other Indian objects are the subjects of other stereoviews, likewise displayed in a romanticized manner. 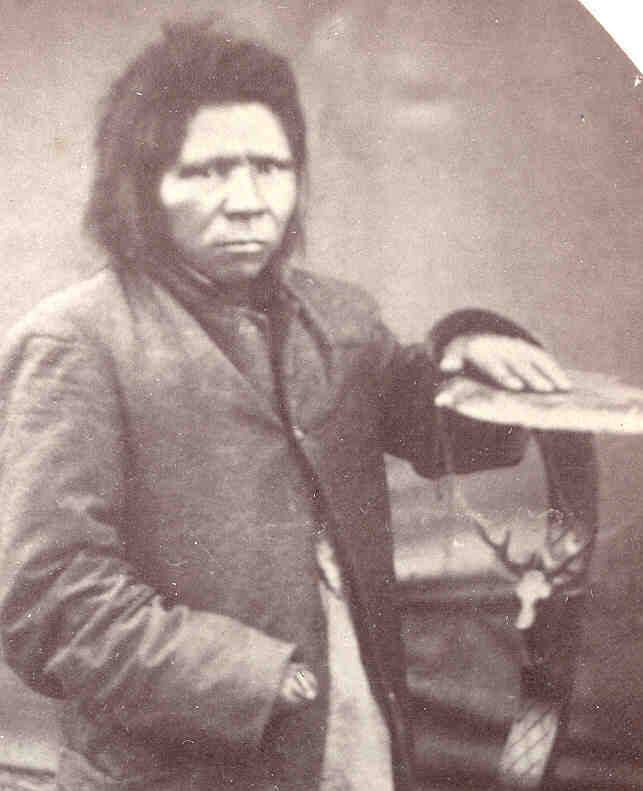 These images of the vanishing Plains culture included animal skins, totem poles, and tools employed by the Indian medicine man. 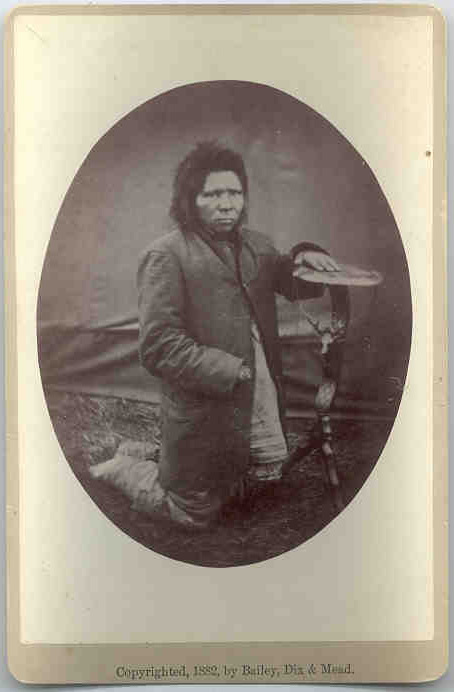 Cross was careful, however, to not overly romanticize the Indian. In one image titled "Women's Rights," women are shown working, accompanied by the following explanation. "Two squaws sitting beside their tepee, resting after carrying the wood seen beside them on their backs, as seen in view No.19, for half a mile, while their liege lords and master (the noble red men), are smoking." 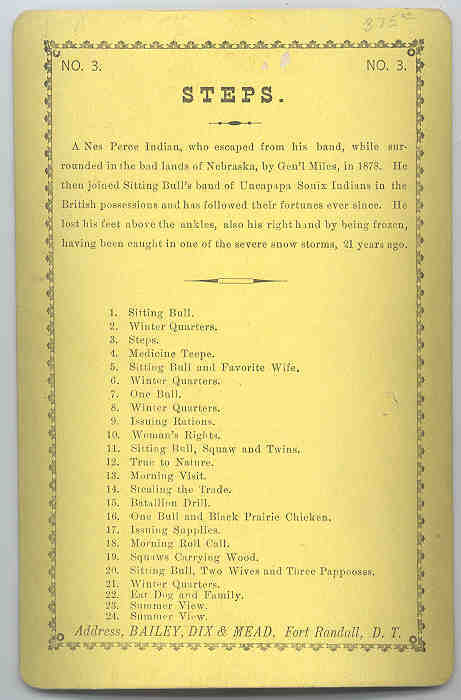 This satirical description was part of a growing theme in American popular culture in which the Indian male was singled out for negative stereotyping as being lazy. posture suggesting submission to a social hierarchy. 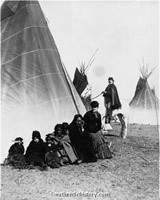 Sitting Bull and his family are at one end, closest to the ground. Next to them, but higher up, sits a White female, representative of the settler for whom the West is being made safe. She can sit safely next to the Indian "savage," now that he's been tamed. At the top of the hierarchy, in the background, a military soldier, the Indian tamer, sits astride his mount, keeping a watchful eye on the situation. 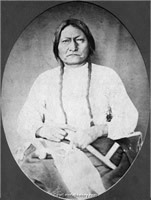 Sitting Bull was charged with, but acquitted of being the person who killed General Custer. He was in May 1883 to the Standing Rock Agency to be with his people. 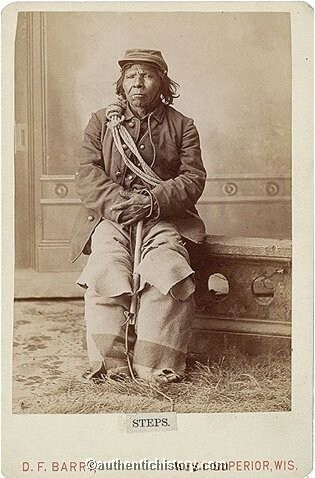 His notoriety saw him become an Indian spokesperson at public ceremonies and events, including the one marking the completion of the Northern Pacific Railroad in Bismarck in 1883. 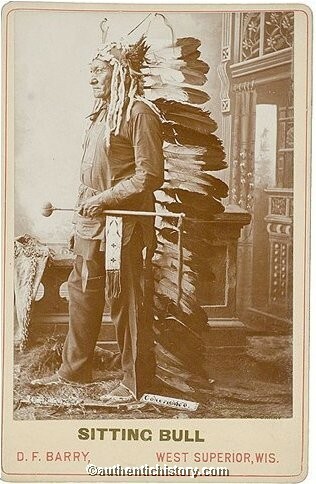 In 1885 he was recruited by Buffalo Bill Cody to be a star in his traveling Wild West show, where he was paid enormous sums of money to represent the "bloodthirsty savage" in front of adoring crowds. After declining to follow the tour to Europe in 1887, Sitting Bull took on the cause of trying to stop White encroachment of Sioux lands. 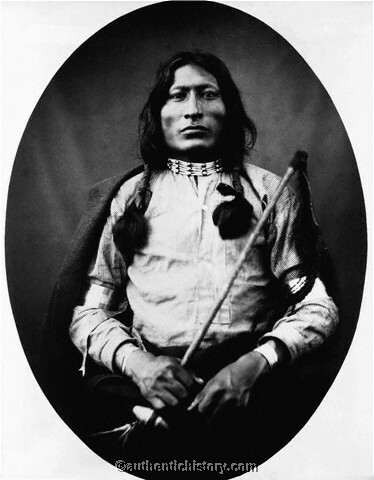 He was assassinated on December 15, 1890, during the days leading up to the massacre at Wounded Knee.